We are seeking to better understand the neural mechanisms behind depression and anxiety in adolescents. Through the use of detailed clinical assessments and MRI protocols by the Human Connectome Project, we seek to determine if measures of brain structure and function obtained from neuroimaging can be used to sufficiently predict illness progression and ultimately yield more effective guidelines for diagnosis and treatment. Launched in 2015, the BANDA study is among the first of several projects funded by the National Institute of Health (NIH) to study a disease population using data collection protocols from the The Human Connectome Project, a multi-institutional project seeking to build a comprehensive map of neural connections in the human brain. Headed by researchers at the McGovern Institute for Brain Research at the Massachusetts Institute of Technology, and in collaboration with research teams at McLean Hospital, Boston University, and Mass General Hospital, this study aims to probe adolescent depression and anxiety at multiple levels of analysis, collecting MRI and clinical/behavioral data from adolescents with depression or anxiety disorders, comparing them with healthy controls, and utilizing algorithms and brain imaging software to map out relevant circuits in the brain. The goal is to determine whether we can find reliable biomarkers for these disorders which can be used to more accurately predict clinical outcomes. Depression and anxiety disorders affect as many as one in four adolescents in the United States, with many carrying symptoms into adulthood. They often occur together, and through a multitude of characterizations may not only impact the general quality of life of the individual, but have also been found to be highly correlated to several leading causes of death in teenagers and young adults such as suicide and substance abuse accidents. While progress has been made in understanding these illnesses, our knowledge of the biological mechanisms behind them is still limited - often making treatment challenging to appropriate in a clinical setting. By attempting to map out the brain signatures of depression and anxiety at an age critical for mental development, the BANDA study aims to discover new insights into the underlying neurobiology and improve the way in which we approach these major psychiatric disorders. 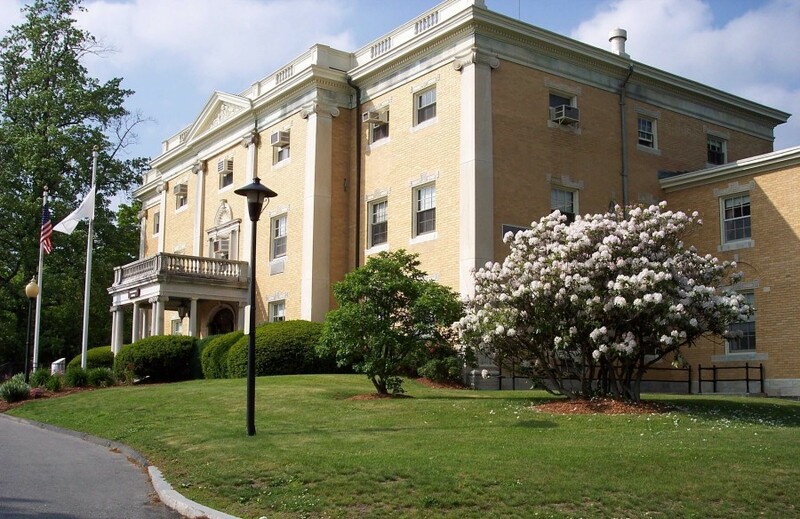 The Child Program at the Center for Anxiety and Related Disorders (CARD) at BU is an interdisciplinary research and treatment program devoted to expanding and improving the quality and accessibility of evidence based mental health care for young children and their families. The Child Program at CARD provides state of the art treatment for children aged 3-17 with anxiety disorders and related mood disorders, and maintains a substantial patient flow due to its well-established clinical infrastructure. It has received both local/national media attention for its grant supported research programs for youth and their families. Child Cognitive Behavioral Therapy program at MGH is a Harvard Medical School-affiliated major medical center serving the entire New England area. The Child CBT program serves children ages 3-24 years, receiving 10-20 referrals per week with the vast majority of referrals being for anxiety. Aside from the program, recruits will be among those presenting to the general child outpatient psychiatry department at MGH. The outpatient psychiatric clinics register 30,000 visits per year, and evaluate more than 200 new patients per month. McLean Hospital is a comprehensive mental health care system committed to providing a full range of high quality, cost effective, mental health services to patients, their families and the larger community. The Hospital is dedicated to training mental health professionals, to supporting basic and clinical research to understand the causes of mental illnesses, and to developing effective new means for prevention and treatment. Since 1811, McLean has been a world leader in the treatment of mental illness, research on mental illnesses, and in training generations of mental health care providers. A major teaching facility of Harvard Medical School, McLean maintains the largest program of research in neuroscience and psychiatry of any private psychiatric hospital in the US. Study visit 1 occurs at any one of the three clinical sites (BU, MGH, or McLean), and it involves clinical characterization of the participant, an evaluation of inclusion and exclusion criteria, and the administration of behavioral tasks developed by the National Institutes of Health and the Human Connectome Project. Study visit 2 occurs at the MGH Martinos Center. It involves an MRI scanning session using the Human Connectome Project imaging protocol (structural MRI, diffusion MRI, task-based and resting-state functional MRI), as well as an administration of a behavioral task measuring attentional bias using eyetracking software. The two study visits occur within two weeks of each other. After the study visits are concluded, the participants are asked to complete follow-up clinical assessments at 6 and 12 months after the last study visit. In particular, self-report questionnaires are administered online at 6 months, and clinical interviews are conducted at 12 months in person during an on-site visit. These scans show how gray and white matter is distributed throughout the brain, and allow researchers to delineate important brain structures. 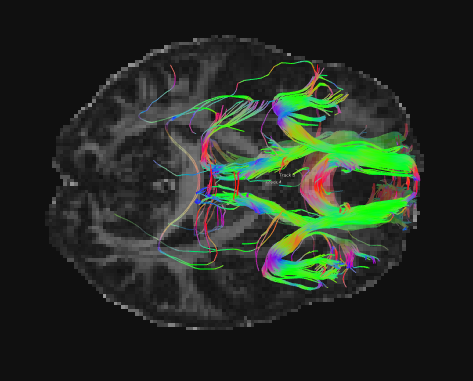 These scans reveal the white-matter fiber bundles that form the network of pathways through which brain structures are connected and communicate with each other. These scans measure spontaneous brain activity while the participant is simply lying in the scanner without performing any particular task. If you are interested in participating, please sign up through any of the clinical sites (see contact info below). The first step is a phone screening, when one of our researchers will ask you some questions to determine if you are a good fit for the study. From there, there will be two main study sessions. For the first session, you and your parent will visit one of the clinical sites (BU, MGH, or McLean) and complete a series of clinical questionnaires and tests. For the second session, you will visit the MGH Martinos Center in Charlestown where you will perform a short behavioral task, fill out a few more questionnaires, and then take part in the MRI portion of the study. An MRI machine uses a big magnet to excite the water molecules in your body, causing them to rotate out of their original positions. The machine then captures the new positions of the molecules at different times and creates an image of your brain. The procedure is very safe (as long as there is no metal near the machine), and unlike CT or PET scans, MRIs do not use ionizing radiation. Before even entering the scanner room, we will have performed a thorough screening to be sure that the MRI is safe for you. On the day of your MRI appointment, we will meet with you beforehand and give you an overview of what to expect during the scan. At this time you will also practice the tasks that you will be asked to perform while inside the scanner (there will be a projector screen inside the scanner from which you will switch between watching a movie and performing the tasks). The entire procedure will last about two hours, and if you feel unsafe or uncomfortable at any point inside the scanner you can let us know and we will take you out right away. You will be in control during the entirety of the scan session, and we will be carefully monitoring you the whole way through. For more information about what you can expect from participating in an MRI scan, please check out this video by the Martinos Center. Six months after the MRI scan, there will be some follow-up quastionnaires for you to complete online. Finally, twelve months after the MRI scan, there will be an in-person visit where you will return to the clinical site to answer some questions. All the data that we collect from your participation will be analyzed using algorithms developed by the researchers in the study, and will become an integral part of our investigation into the brain connectivity of adolescents with anxiety or depression. For more information about the study, feel free to call or email any of our locations. You can also check out our Facebook page! If you are interested in participating in the study, please fill out our online screening form, and one of our researchers from one of the clinical sites will get in touch with you. For more information on any specific site, you can click on any of the links below.